The Sanibel Island Sundial Beach and Golf Resort is located on beautiful Sanibel Island, in Southwest Florida. The resort is right on the Gulf of Mexico, with snow-white sands and clear turquoise water. For the ultimate in Sanibel Island vacations, this is the place to stay! Sanibel Island Sundial has just finished an extensive rebuilding and remodeling project, and now, it’s better than ever! Guests can enjoy five heated outdoor swimming pools, a mile of gorgeous beach, a large fitness center, an outdoor whirlpool, a game room that includes video games, and twelve tennis courts with an onsite pro shop and tennis pro. Sanibel Island Sundial guests also have access to a PGA-rated championship golf course. The Sanibel Island Sundial also has onsite dining choices. Their Beaches Bar and Grill provides great views of the gulf while you enjoy your meal. For breakfast, choose from among a granola parfait, oatmeal, eggs, breakfast meats, pancakes, French toast, smoked salmon, pastries, hash browns, fresh fruits, muffins, or bagels. Start off dinner with a tantalizing appetizer like clam and corn chowder, jumbo wings, crab cakes, sautéed mussels, steamed shrimp, and more. Entrees include burgers, steaks, seared ahi, mahi mahi in banana leaf, seafood pot pie, and more. Don’t forget to save room for one of Sundial’s scrumptious desserts! Sanibel Island Sundial also has a poolside bar and grill called Crocodial’s. It serves burgers, salads, boiled shrimp, sandwiches, and sausage dogs. They also have a great kid’s menu. The frozen tropical drinks at Crocodial’s are legendary, too, and there’s a happy hour! The Shoppe at Sanibel Island Sundial has deli items, groceries, and a selection of necessary items for the beach. All of these can be delivered straight to your room. One of the neatest things about Sanibel Island Sundial is its Environmental Coastal Observatory Center. It has a 180-gallon aquarium, a 450-gallon touch tank, and an exhibit that features endangered species. Kids love the hermit crab petting zoo, and they’ll learn a lot about conserving our marine species. They can join in feeding the crabs and turtles for a truly unique experience! Want more? Just step out to the main pool and get a sailboat, a kayak, a body board, a pedal buggy, a bicycle, a boogie board, a jogging stroller, or a wind surfer. If you’re heading to the beach, grab a complimentary beach towel and beach chair. To work up an appetite for dinner, join in a game of volleyball on Sundial’s court. The Sanibel Island Sundial staff can also make all the arrangements for unforgettable sightseeing, shelling, and dolphin cruises. Bringing the kids along? No problem! For Sanibel Island vacations with some time alone without the little ones, the Sanibel Island Sundial has you covered. Their Explorer Kids’ Club will entertain the tikes for you. The licensed counselors at the Sanibel Island Sundial will guide your kids in arts and crafts, beach games, pool games, and they’ll even feed them lunch! Camps are available during the day and at night. 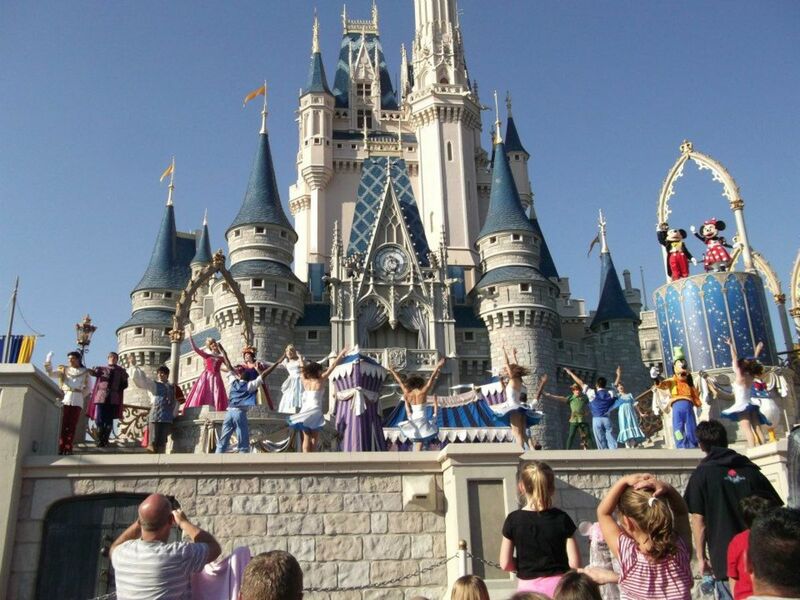 The kids are guaranteed to have a blast, and so will you! At the Sanibel Island Sundial, all the accommodations are suites. Each unit has a kitchen – a real kitchen – not some tiny efficiency kitchen. There’s also a dining area, and guests can choose either a one-bedroom suite, a two-bedroom suite, a three-bedroom suite, or even a five-bedroom private home. Every until includes a microwave, a refrigerator, an iron and ironing board, a hair dryer, a blender, a phone with dataport, an AM/FM clock radio, a safe, wireless internet access, and a cable television with VCR. The coffee maker comes with a fresh supply of coffee, delivered daily. Studio: This unit has over 600 square feet of space and includes a full kitchen, a breakfast bar, a queen bed, and a living area. The private screened balcony or patio provides a peek of the lush garden. This is a great choice for a couple who won’t be spending a lot of time in their room or who are on a budget. Island residence: This includes over 800 square feet of living space, with a full kitchen, a dining area, a separate living area, and upgraded bedding. Choose a king bed, a queen bed, or two double beds. Screened balconies are available, too. These rooms provide wonderful views of the resort’s garden. Coastal residence: This unit has a living room, a full kitchen, a dining room, and a separate bedroom with a king, a queen, or two double beds. The lanai or the screened balcony offers great garden views and partial views of the gulf. Beachfront residence: These rooms are right on the beach! Each has a full kitchen, a dining area, and a separate living area. Choose either a king or queen bed. The screened balcony affords amazing views of the gulf and beach. This is the perfect choice for honeymoons and romantic getaways! Two-bedroom island residence: This unit has two separate bedrooms – one with two twins, and the other with a king or queen. The living area, kitchen, and two full bathrooms make this a great choice for a family with kids. 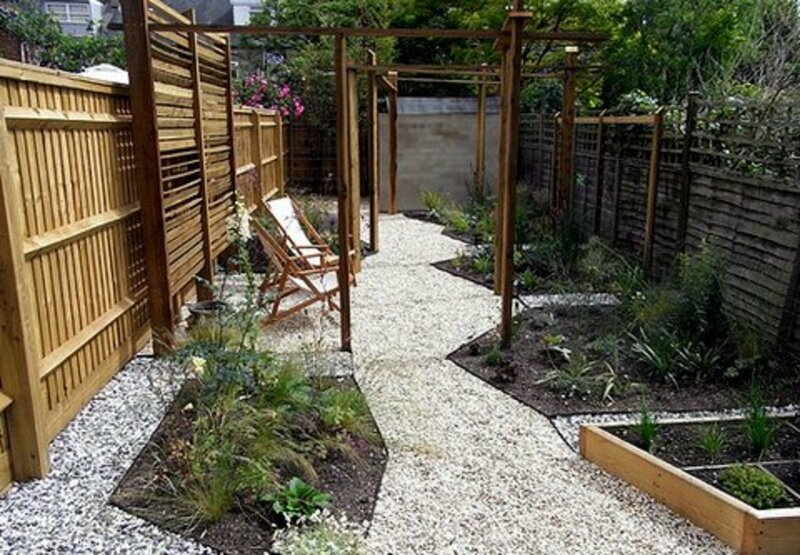 The screened balcony provides full views of the garden area. Two-bedroom coastal residence: This includes 1,150 square feet of space, allowing families to stretch out a little. The master bedroom has a king or queen and a private bath. The second bedroom has two double beds, and there’s a second bathroom, too. Six people can stay comfortably in this unit. The screened balcony looks over the garden and provides a limited view of the gulf. Two-bedroom beachfront residence: This beachfront unit has a large living room, a dining area, and a screened balcony that overlooks the gulf. The master bedroom has a king or queen and a private bath. The second bedroom has two twin beds. There’s a second full bath, also. Two-bedroom grande coastal residence: This unit has 1,586 square feet of living space and includes a living room, a dining area, and a den. The master bedroom has a king, a queen, or two double beds. The second bedroom has two twins. The den includes a sofa sleeper, and there are two full bathrooms. There’s plenty of room for six people, so this would be a great choice for large families. Two-bedroom grande gulf view residence: This unit is just like the one above except that this one has a screened balcony that provides views of the Gulf of Mexico. Two-bedroom grande beachfront residence: This unit is the same as the previous two units, except that this one is right on the beach! The screened balcony offers wonderful views of the beach and the gulf. Three-bedroom coastal residence: This is a large unit with three private bedrooms, two full baths, a living and dining room, and a den. The living area has a queen sofa sleeper. This unit would be perfect for a family with kids who want to bring the grandparents along. Sanibel Island Sundial luxury home: This amazing home is across the street from the Sundial Resort and has 4,000 square feet of living space. There are five bedrooms, each with a king, queen, or two twin beds. Two of the five bathrooms have tubs, and all have showers. The master bedroom has its own Jacuzzi and a walk-in shower with seven showerheads. The large kitchen has three ovens and a dishwasher. The dining room has seating for ten. The large living room includes a 52-inch TV with VCR. Keeping plenty of clean beach towels won’t be a problem because the house has its own washer and dryer. Outside, there’s a terrace, a barbecue grill, a two-car garage, and a private saltwater swimming pool. This spacious home can accommodate 13 guests comfortably. This is the perfect lodging choice for a family reunion or for several couples with kids. The Sanibel Island Sundial will absolutely spoil you! All the suites are beautifully and comfortably appointed, and the staff is super friendly and helpful. There’s as much or as little as you want to do. Take part in water sports or lie in the sun. Curl up with a good book on your private balcony as you soak in the gentle gulf breezes. Have a deli sandwich delivered to your room, or ask for a professional masseuse to come to your suite for a relaxing massage. Sanibel Island vacations are glorious! Sanibel is located three miles off the coast of Ft. Meyers. 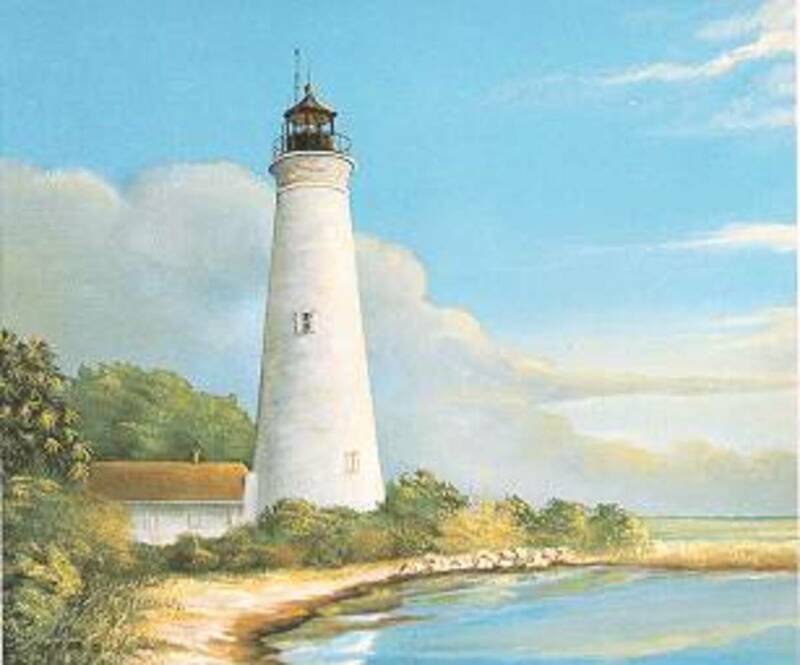 It has a wonderful tropical climate, which makes for great Sanibel Island vacations year round. The atmosphere of the island is laid back, yet there’s plenty to do and see. 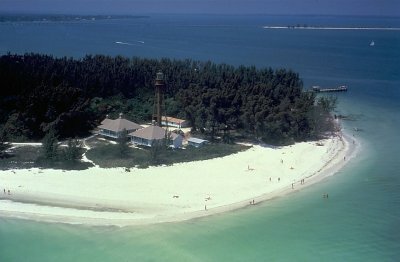 Sanibel is separated from Captiva Island by Blind Pass, which is usually filled with sand, so the two islands are more like one big island. This expands your choices of beaches, dining, and shopping. Because of the way Sanibel is situated in the Gulf of Mexico, it’s world-famous for its shelling. Shell collectors come from all over to search the white beaches for treasures and rarities. The gulf waters at Sanibel are warm and clear. Some beaches have a very gentle surf, while others have waves large enough for boogie boards and body surfing. The sand on the beaches is white and very soft – it’s actually powdered quartz. It’s so white, in fact, that it doesn’t even get uncomfortably hot because it reflects the sun’s rays instead of absorbing them. 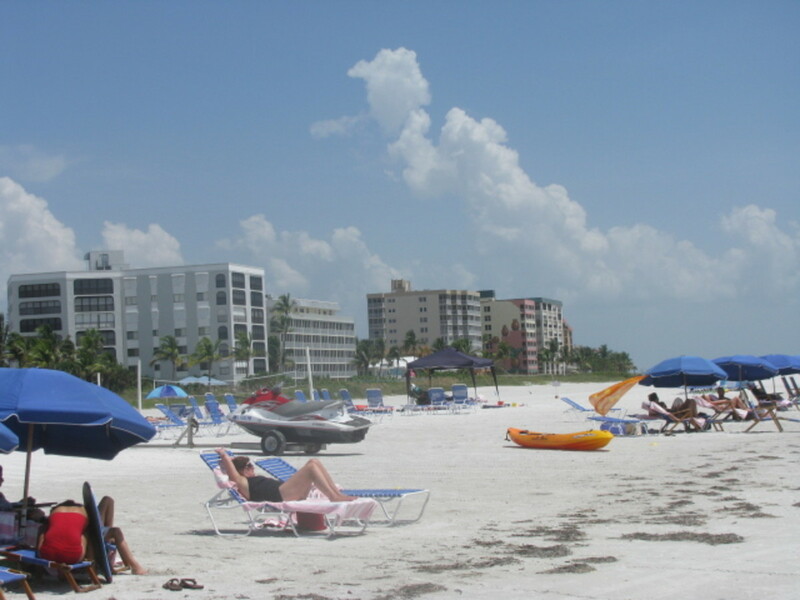 Because the beaches are so soft and warm, sunning is a popular pastime at Sanibel. And because the water is so clear, snorkeling and diving are popular here. Several wrecks and artificial reefs are just offshore, and some are in shallow water – perfect for first-time divers. The canals, the bay, and the gulf are fertile fishing grounds, with grouper, redfish, snook, barracuda, snapper, permit, tarpon, and other species plying the waters. Surf fish or hire a local guide for some inshore or offshore angling you won’t soon forget! History buffs will love visiting the historical village and seeing the ancient shell mounds that were made by the Calusa Indians. There are also fascinating museums on the island and nearby. 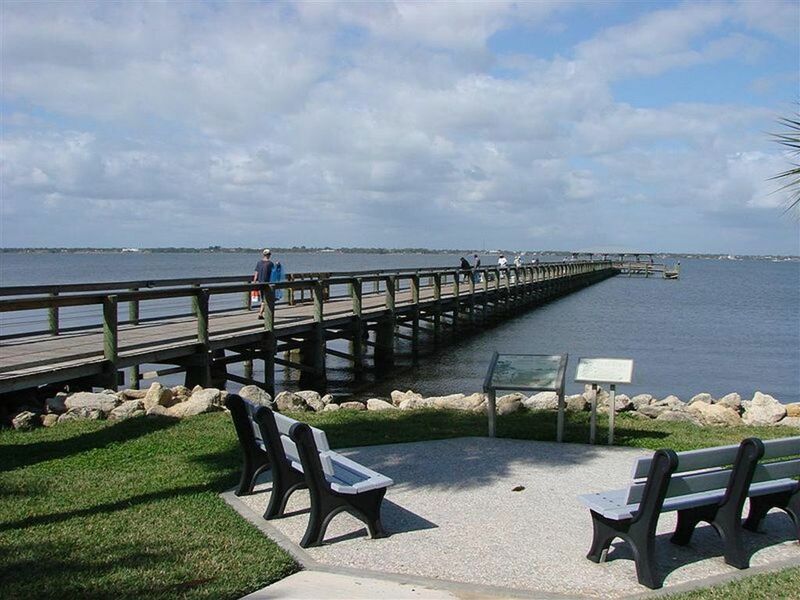 One of the most popular attractions on Sanibel Island is the Ding Darling Nature Reserve. Here, visitors can hike, bike, or canoe along the trails or get a panoramic view from the observation tower. The reserve is a great place for birding, with over 200 species in attendance. Numerous species of mammals, reptiles, and amphibians can also be seen in their natural habitat, including endangered and threatened animals. If you’ve never been to this part of Florida, you don’t know what you’re missing! The water and the beaches are truly amazing and make for some awesome Sanibel Island vacations. I’ve been to the Bahamas, and honestly, the water here rivals the Caribbean, and the sand here is much finer and softer! 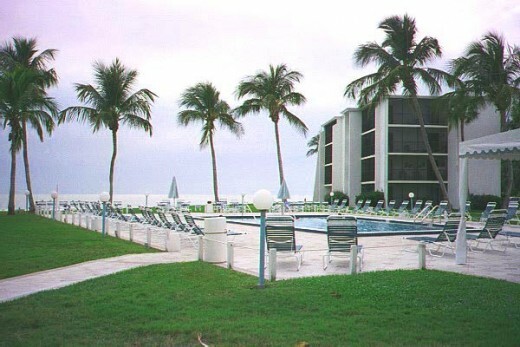 Sanibel Island vacations are unforgettable, especially if you choose to stay at the Sanibel Island Sundial. It just doesn’t get any better than this! There’s something that will appeal to every vacationer, no matter their age or interest. Even jaded travelers will be impressed by Sanibel Island vacations! Sanibel Island Sundial is awesome! Thanks, Jade! Glad you enjoyed it! Such a comprehensive site on the Sundial Resort. Great job! Quidron, I know it's more than $200 a night. But remember, you get more than just a typical room, so it's actually a pretty good deal. You can save a bundle on eating out because you'll have a kitchen. Hi, Sandy. I'm just about always up to getting away! Audrey, go ahead and book me a room, too! Get one close to yours. We'll send Bob and JOhnny golfing while we shop or tan! Hi, BEan! We're trying to decide where to go this summer for family vacation. We've narrowed it down to Sanibel, Anna Maria Island, or the Redneck Riviera. HH, you'd love that region of Florida! Veronica, we're supposed to get snow HERE tomorrow!! Ictodd, WHY did you leave good ol' GA?? lol! Thanks! Hi, Angela! I'm with you! Thanks for reading. I've always wanted to visit Sanibel island. You make it so inviting. Do you have prices? I'm saying 'book it, Danno' - wow - Calgon take me away! Hi, Deb. Good to see you! I am so ready for the beach, Ann! Incredible hub. I vacation with friends at Sanibel Island in the spring. My friends have a condo. You describe the feel of Sanibel Island beautifully. And the resort you mention sounds so grand, who wouldn't want to stay there. The sea shelling is awesome as well. I like it when the waves are big enough to body board. I gave up surfing several years back after getting whacked in the head to many times. Gosh, I could do with that for four weeks. I might be restort again. Thank for the lovely pictures. At least I could enjoy this paradise like that. Absolutely beautiful! I needed this virutal vacation of sorts. It's been nothing but cold and rain here, so this was a nice break. You have done a lot of work on this hub and it is so informative and I want to go,,,but I can't yet???? I live in Georgia once...Douglasville. Habee, Seems nice and quaint! Thank you for the warm virtual vacation on this chilly day... Thank you for sharing, In His Love & Blessings! Oh la la! Summer here I come! I love winter when there is snow! That has been my motto for years but now it's up to my ears-almost so this hub is quite refreshing, habee! Thanks a bunch! Ready to trade white snow for white sand, Bpop?! How incredibly inviting, especially now with more snow headed our way!